In the UK in May, cherry blossom flutters from the sky like confetti, bold spring bulbs burst from the soil and every deciduous tree and bush is flushed a glorious green. Nature has a beauty that is impossible to match. It’s also a beauty that interior designers want to emulate because of the feelings of hope and freedom it evokes. Here’s the ani M INTERIORS guide to bringing the outside in. It can be overlooked but as this project shows, the entrance hall sets the tone for the whole property. It should welcome visitors and harmonise the different rooms. 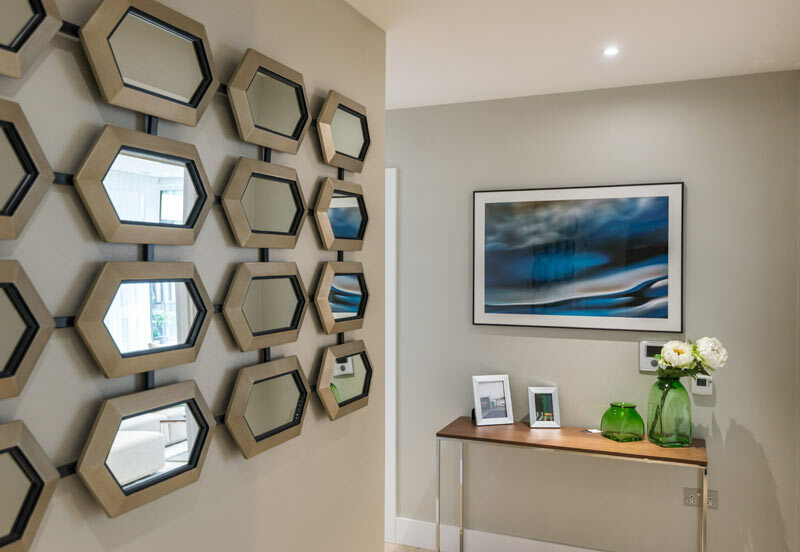 Mirrors and keeping the space uncluttered help to make it feel bright and airy but the real star here is the assortment of vases with flowers. These change seasonally which means the home owner will always be greeted with different scents and colours as they arrive and they will always feel in touch with the season outside. The living room serves two purposes: to relax in and for hosting your friends in comfort. It should therefore, be effortlessly stylish and inviting; somewhere that you find soothing and proud of at the same time. No small feat, you’ll agree, so let Nature give you a helping hand. Bold florals on wall paper, soft furnishings and upholstery are a fun way to embrace Nature’s beauty but could look blousy if overdone. Twisting branches or vines and geometric leaf shapes in place of blooms will bring a great touch of the tropics all year round. Or if minimalism is more in line with your home style, then this project really celebrates Nature’s elegance. 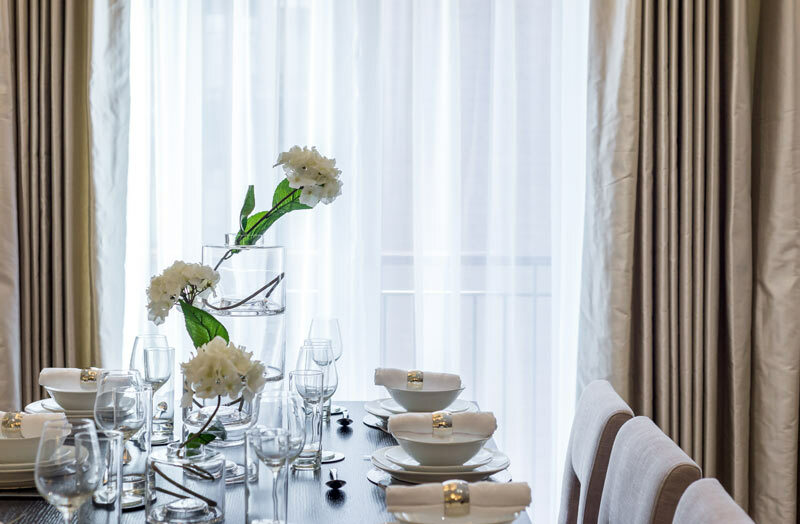 Dining rooms are often used for special occasions with friends where the ceremony is part of the pleasure. From matching tableware with floral shapes and designs, flora and fauna can be used for place settings too. Twisting passionflower vines can be laid across the table or wrapped around the table and chairs. And don’t forget the centerpiece which can be as simple or as outlandish as you desire. The team’s design for this property is a clever use of seasonal flowers that is as beautiful as it is subtle. 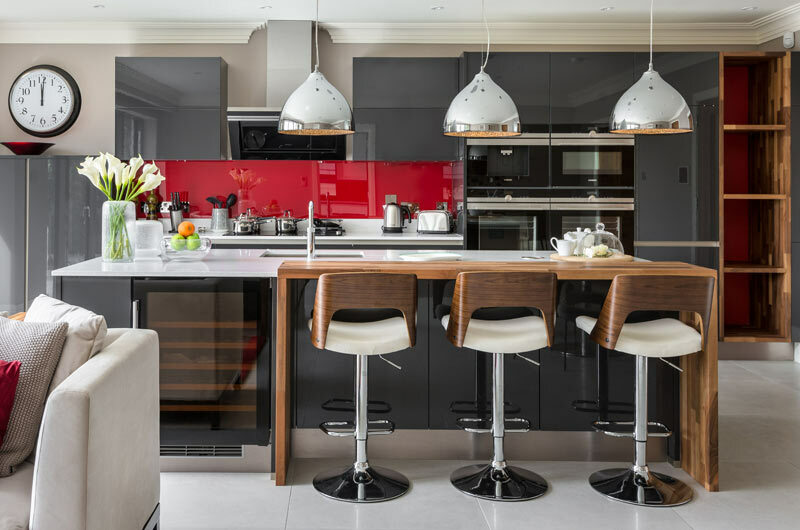 The kitchen has such a practical use that it’s hard to see how something that is decorative could have a place. The space is perfect however, for a selection of herbs in matching pots lined up on a window ledge that can be used in cooking. If there is a breakfast bar, such as this project, then a pot of herbs or a small, simple vase of flowers will brighten up mealtimes. 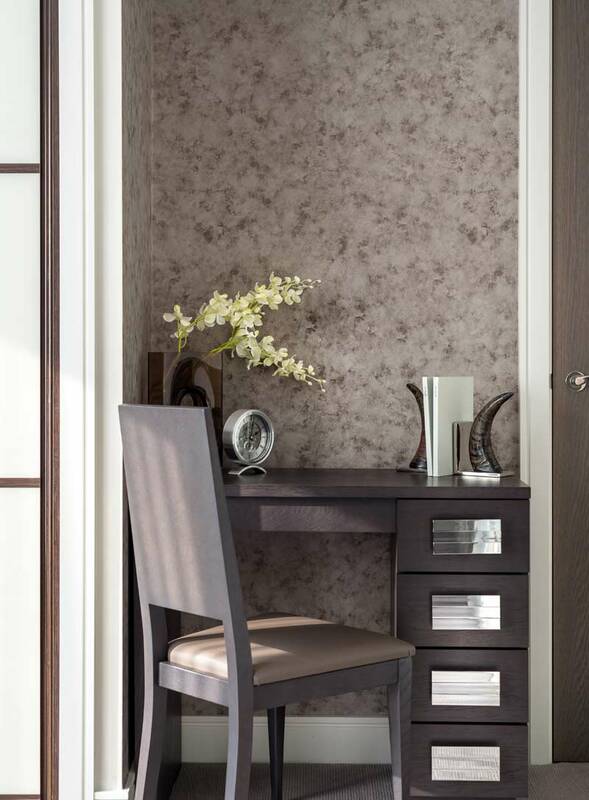 Add a touch of refinement to a dull, home office space to boost productivity. 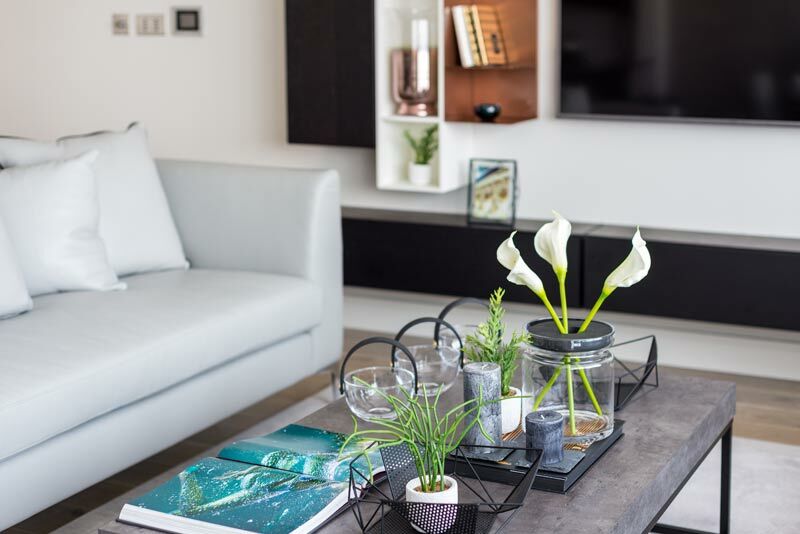 House plants will help neutralise the negative effects of electrical equipment and release oxygen in an environment where you will feel the benefits. There are also some inspiring flora and fauna wall paper options that not only look great but will also catch your imagination, such as this project. The bedroom is the one room in the house that is completely your own space so offers great freedom for you to express what you find most soothing. If that means bold blooms on the wall coverings and bedding then so be it. House plants offer great benefits here too, releasing oxygen while you are sedentary can help you feel refreshed and give your energy levels a boost. As this project shows, house plants needn’t be boring either. Striking, structural plants or flowers that accent the colour scheme can make the space sublime. 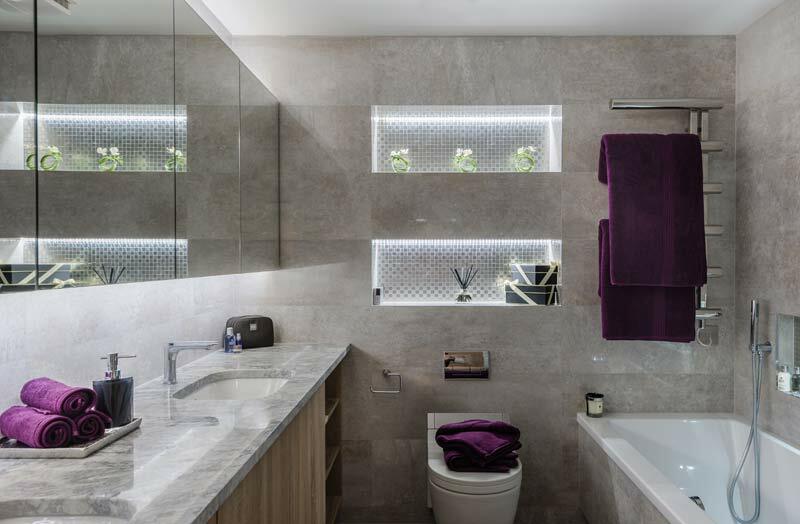 The bathroom has a peculiar ecosystem, regularly hot and often humid, it suits plants that thrive in these conditions such as cacti and orchids that can be arranged into striking displays. If the space has no natural light however, then there are no plants that will survive. Other floral options to consider include tile and towel designs or faux silk flowers. If these options are not to your taste then you could consider the route that the team took on this project, the natural allure of floral scents. A balcony is an obvious space you would expect people to embrace the natural world. If you are a keen plants person then assorted pots of greenery will likely take up most of the space. 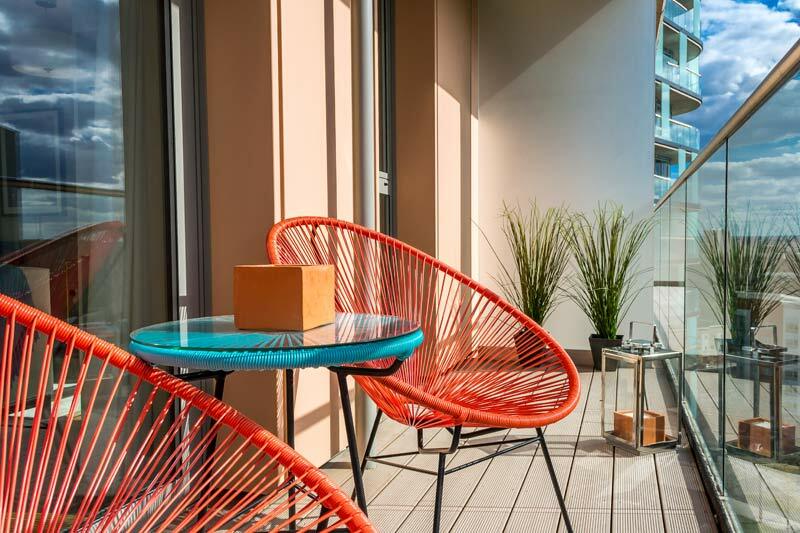 If you are keen for the area to be as much of a design statement as the rest of the property then a few well-chosen pots with architectural plants will provide the perfect backdrop for beautiful outdoor furniture and stylish sun bathing. 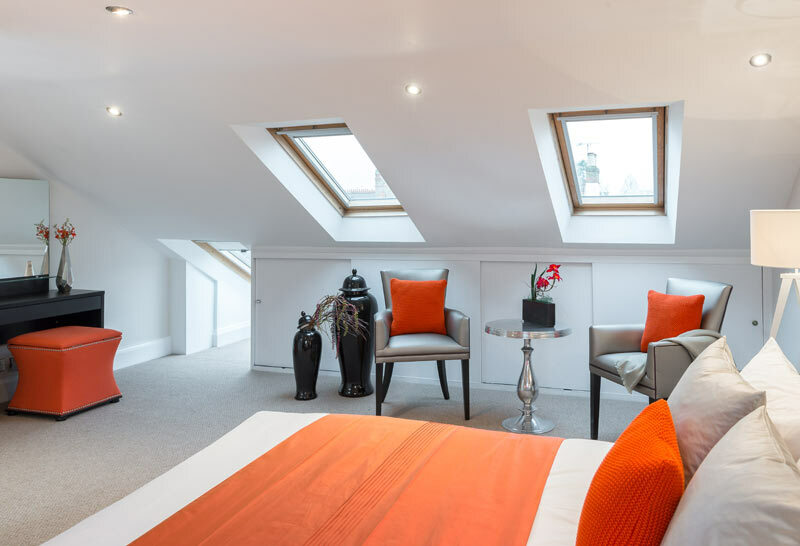 If you would like the ani M INTERIORS team to brighten your abode with the best flora and fauna ideas then get in touch today.